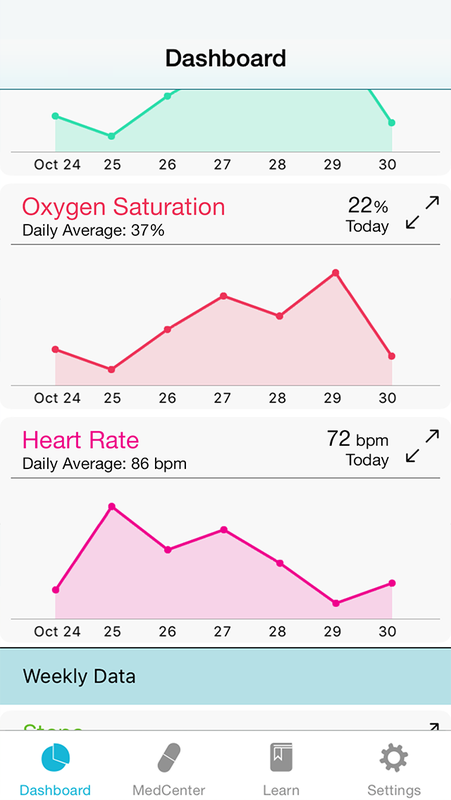 SAN JOSE, Calif., – December 3, 2015 – LifeMap Solutions, a digital-health subsidiary of BioTime, Inc. (NYSE MKT and TASE: BTX) known for its ResearchKit-enabled app Asthma Health, today announced that its HealthKit-compliant iOS app, COPD Navigator, is now available for free download from the App Store. 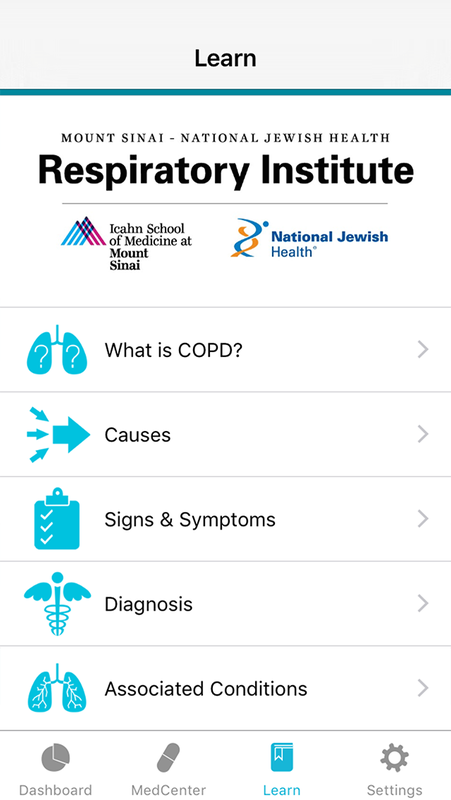 Developed in close partnership with researchers from the Icahn School of Medicine at Mount Sinai and leading pulmonologists from the Mount Sinai – National Jewish Health Respiratory Institute, the app empowers patients diagnosed with Chronic Obstructive Pulmonary Disease (COPD) to better monitor and manage their condition. An enhanced version branded as SuperCare iBreathe will be clinically deployed by SuperCare Health, a chronic care management company specializing in respiratory diseases. The iBreathe app is customized with unique data collection points and allows SuperCare Health’s clinical care team to track them in real time and respond immediately to COPD patients enrolled in their Healthcare at Home program. This marks the first commercial revenue by LifeMap Solutions. Financial details were not disclosed. The app leverages evidence-based care guidelines, behavioral science, and patient data to improve patient adherence with the goal of achieving better health outcomes at lower cost. COPD Navigator users receive real-time local weather and air quality alerts, medication reminders, and tools to track their symptoms in order to more quickly recognize COPD exacerbations, in which their lung condition suddenly worsens. COPD Navigator also empowers patients to easily share this information with their healthcare teams. This gives patients the flexibility to address exacerbations at home under their doctor’s guidance and potentially prevent an expensive medical emergency. COPD is one of the nation’s most serious health problems, affecting over 24 million Americans. The condition created direct and indirect costs of nearly $50 billion in 2010, according to the American College of Chest Physicians. To help improve outcomes at lower costs, LifeMap Solutions is partnering with paying commercial entities to deploy COPD Navigator to patients in clinical settings. SuperCare Health will deploy COPD Navigator as SuperCare iBreathe to COPD patients enrolled in their Healthcare at Home Program in December 2015, enabling them to remotely monitor their patients through a unique set of health indicators. This health data is integrated into SuperCare Health’s Electronic Health Records System (EHR), where the company’s care managers can then analyze the data with their proprietary care algorithm to reduce 30-day hospital readmissions, improve patient adherence to treatment, and educate about better disease management. SuperCare iBreathe is the first production commercial deployment of the enterprise version of COPD Navigator. This enterprise version plugs the COPD Navigator app into a larger technology platform that facilitates deeper monitoring and analysis of patient information by clinicians. LifeMap Solutions is developing innovative digital health products in partnership with the Icahn Institute for Genomics and Multiscale Biology, which is located within the Icahn School of Medicine at Mount Sinai. LifeMap digital therapeutic solutions integrate health and wellness information with care team guidance into a secure mHealth platform that empowers patients to make better choices to achieve optimal health outcomes. LifeMap Solutions is a subsidiary of BioTime, Inc. LifeMap Solutions is headquartered in San Jose, California. For more information, please visit www.lifemap-solutions.com. The Icahn School of Medicine at Mount Sinai, a top-ranked academic medical center in New York City, and National Jewish Health, the nation’s leading respiratory hospital based in Denver, Colorado, have partnered to create the Mount Sinai – National Jewish Health Respiratory Institute. Combining the strengths of both entities into an integrated Respiratory Institute brings together leading expertise in diagnosing and treating all forms of respiratory illness and lung disease, including asthma, chronic obstructive pulmonary disease (COPD), interstitial lung disease (ILD) and bronchiectasis. The Respiratory Institute creates new options for patients in New York City and the surrounding region. Through the integration of research advances, clinical skill and patient-focused processes and protocols, the Respiratory Institute offers a model for the state-of-the-art delivery of multidisciplinary, outcomes-driven care, and for the application of personalized medicine for the treatment of respiratory disease. For more information, please visit: http://therespiratoryinstitute.org/. SuperCare Health is a chronic care management company specializing in respiratory diseases and providing high-touch, high-tech in-home patient management solutions. Utilizing cutting-edge mobile technologies, combined with quality clinical services, SuperCare Health has proven cost-savings that reduce hospital readmissions and offer shared savings for payors. The company was founded 40 years ago as a community pharmacy servicing patients in the Los Angeles area. Today, SuperCare Health provides full respiratory and utilization management services across California, through its multiple locations, with a focus on outcomes and re-admission management. SuperCare Health is the largest provider of ventilators in the West, and develops clinical practices that advance the standard of care for respiratory patients – such as providing clinically superior portable oxygen concentrators at no cost to eligible patients, enabling greater mobility, activity and quality of life. The company has been Joint Commission accredited since 1993. BioTime, Inc., a pioneer in regenerative medicine, is a clinical-stage biotechnology company. BioTime and its subsidiaries are leveraging their industry-leading experience in pluripotent stem cell technology and a broad intellectual property portfolio to facilitate the development and use of cell-based therapies and gene marker-based molecular diagnostics for major diseases and degenerative conditions for which there presently are no cures. The lead clinical programs of BioTime and its subsidiaries include: OpRegen®, currently in a Phase I/IIa trial for the treatment of the dry form of age-related macular degeneration; AST-OPC1, currently in a Phase I/IIa trial for spinal cord injuries; Renevia™, currently in a pivotal trial in Europe as an injectable matrix for the engraftment of transplanted cells to treat HIV-related lipoatrophy; and PanC-Dx™ cancer diagnostics, which are completing initial clinical studies for bladder, breast, and lung cancer. AST-VAC2, a cancer vaccine, is in the pre-clinical trial stage. BioTime’s subsidiaries include: publicly-traded Asterias Biotherapeutics, Inc. (NYSE MKT: AST), developing pluripotent stem cell-based therapies in neurology and oncology, including AST-OPC1 and AST-VAC2; Cell Cure Neurosciences Ltd., developing stem cell-based therapies for retinal and neurological disorders, including OpRegen®; OncoCyte Corporation, developing PanC-Dx™ cancer diagnostics; LifeMap Sciences, Inc., developing and marketing an integrated online database resource for biomedical and stem cell research; LifeMap Solutions, Inc., developing mobile health (mHealth) products; ES Cell International Pte Ltd, which has developed cGMP compliant human embryonic stem cell lines that are being marketed by BioTime for research purposes under the ESI BIO branding program; OrthoCyte Corporation, developing therapies to treat orthopedic disorders, diseases and injuries; and ReCyte Therapeutics, Inc., developing therapies to treat a variety of cardiovascular and related ischemic disorders. TriplePoint PR for LifeMap Solutions, Inc.